Aubrey Foard began seriously teaching while studying as a graduate student at Rice University in Houston, Texas. While in Texas, Aubrey held a studio of 20 students from the Houston area, taught in the music preparatory program at Rice University's Shepherd School of Music and privately taught non-music majors at Rice. He began teaching as a college professor at West Virginia State University in 2011. Aubrey currently serves as Lecturer of Tuba and Euphonium at UCLA, where he has taught since 2013. Aubrey's students at UCLA have achieved numerous accomplishments, including winning fellowships to music festivals, performing with professional orchestras, performing on major motion picture soundtracks, and winning concerto competitions. 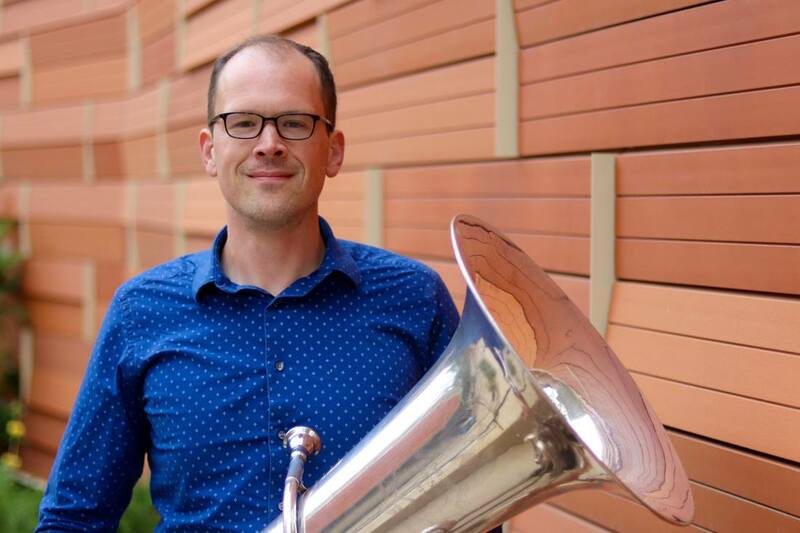 As a brass faculty member, he coaches the UCLA Brass Ensemble, oversees the UCLA Tuba and Euphonium Ensemble, and presents recitals with the UCLA Faculty Brass Quintet. He has presented master classes and recitals worldwide, including at schools throughout the United States and at universities and conservatories in Singapore, Hong Kong, Taiwan, and Vietnam. His teaching style emphasizes that a lifelong love of music can be used to enrich one's life, no matter his or her chosen career path. For lessons and other inquiries regarding studying with Aubrey Foard, please use the contact link at the top of the page.